You will receive a guided sightseeing tour on air-conditioned private transport. Your guide will meet you at the hotel or arrival gate at Istanbul airport holding a sign with your name written on it. 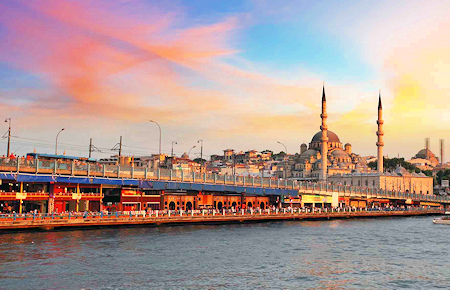 Accompanied you will begin your adventure to the historical sights of Istanbul. This excursion takes you to the most famous monuments of Istanbul during this full-day guided tour. 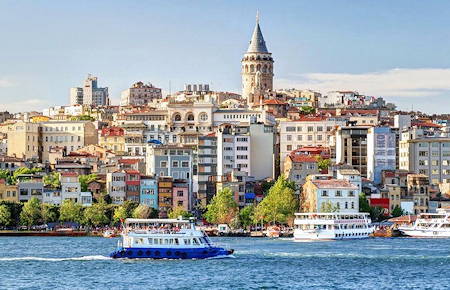 Explore Istanbul's rich history and magnificent architecture as you visit the Hippodrome, the Blue Mosque, Hagia Sophia, Topkapi Palace and the Grand Bazaar. The city of Istanbul has a history which spans over almost 2,500 years, which is evident in the Old City area of Sultanahmet. The tour begins with a visit to the magnificent Hippodrome, once the site of chariot races during the Roman and Byzantine era. See the ancient monuments which stand here to this day, such as the Obelisk of the Theodosius, the Serpentine Column, and the Column of Constantine. Then possibly the most photographed site in Istanbul , the Blue Mosque. Famous for its beautiful courtyard and impressive minarets, the mosque gets its nickname from the splendid blue tiles that cover its interior walls. Then visit Topkapi Palace, home to the Sultans of the Ottoman Empire. Today Topkapi Palace is a spectacular museum which houses the Muslim world’s holiest relics, including the cloak and sword of the Prophet Mohammed. After this we take a break for a much needed lunch and then continue to the Hagia Sophia, one of the worlds architectural gems. An ancient basilica dating back to the 4th century, the Hagia Sophia stood as the Cathedral of Constantinople for over a thousand years before being converted into a mosque in 1453; today it serves as a museum. Finally we go to Istanbuls famous Grand Bazaar, the largest and the oldest covered marketplace in the world, where you may find all kind of gifts, leather, clothing, rugs, antiques, and jewelery in an authentic Oriental atmosphere . Experience the sights, sounds and aromas and get caught up in it as you haggle for bargains ! Buzzing with the energy and laden with your wares we transport you safely back to the hotel. Visit the world famous Blue Mosque, a stunning example of Ottoman architecture. Experience the Hagia Sophia, one of Turkey’s most important museums. Marvel at the grandeur of Topkapi Palace. 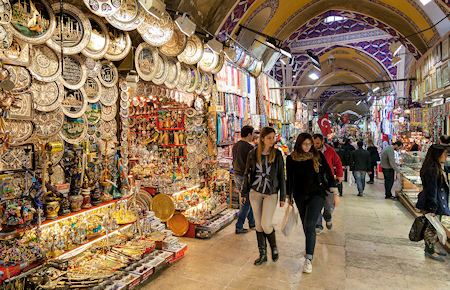 Try out your bargaining skills at the Grand Bazaar.